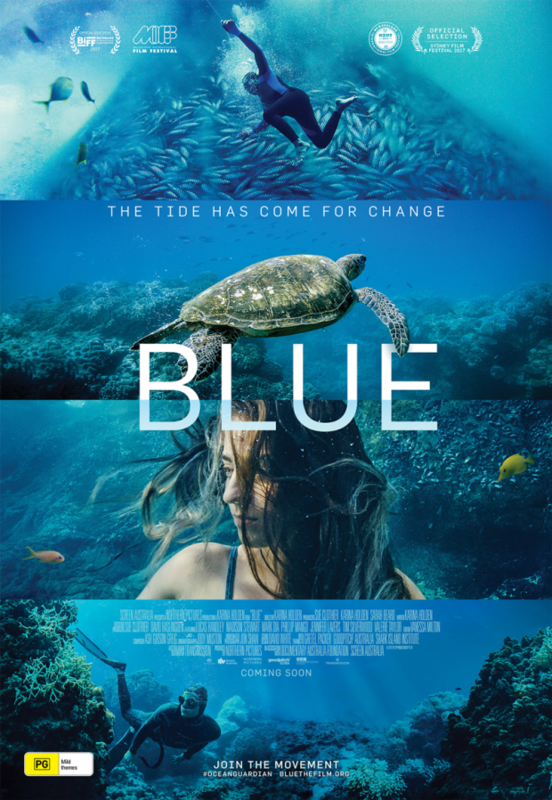 Blue is certainly not a neutral or dispassionate film. 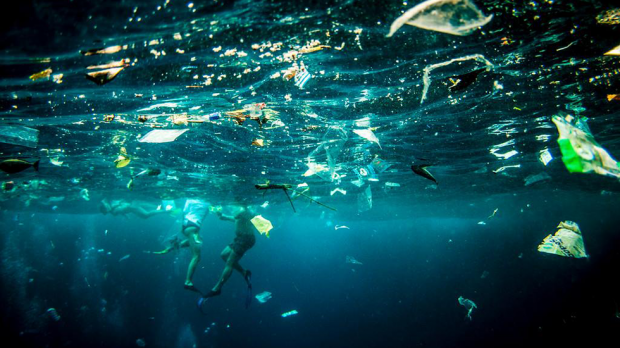 This documentary is a look into the world’s oceans, and the vast array of issues facing them. It takes us into that watery realm, at what it views as a critical time for the ecosystem, facing a variety of man made threats the likes of which Earth has never seen before. This is actually a difficult film to review, as the critical aspects are different from the emotive experience it evokes as a viewer. To be absolutely clear, Blue is certainly a heavy handed polemic. From a filmmaker’s standpoint it is a little too reliant on the deliberate and forced poetry of its narration, its overly earnest appeal to the audiences’ better nature, and its overuse of many of the tropes of the genre (slo-mo in particular is leaned on heavily here, similar to the work of Koyaanasiqatsi cinematographer Ron Fricke’s work). It would seem like the only cynical thing here is me. These are genuine, heartfelt pleas, from people involved doing needed work in the areas explored. Although the style of film make these seemed forced, they certainly come from the heart, and that tinge of desperation comes from these issues being at a critical tipping point. These are individuals that have worked for years, if not decades, within and around oceans, have seen first hand the effects that humankind is having on a variety of fronts, and have seen that over the course of their lifetime, things are getting worse. From illegal fishing, to the scale of damage done by industrial fishing, ghost nets, the effects of plastic on ocean-life and birds, coral bleaching – it’s a rather long and daunting litany of ways that a vulnerable and vital ecosystem is under threat. That message is one of the most powerful aspects of Blue. The other is the cinematography. This is a gorgeous movie, imbuing you with a love of the ocean. At other times this is utterly heart-wrenching, filling you with the full scale of the horrors that are being inflicted. Often Blue can be confronting viewing. Seeing sharks circling to the ocean floor with their fins lopped off, or drift nets full of dead seals – it is certainly affecting, inspiring rage and sorrow. This is not an even-handed presentation, nor was it ever meant to be. Instead it’s clarion call to action on issues that will effect us all, but are little thought about by the general populace.